Red Moon Creative Arts Theatre is the resident theatre-in-education company at The Presentation Arts Centre. 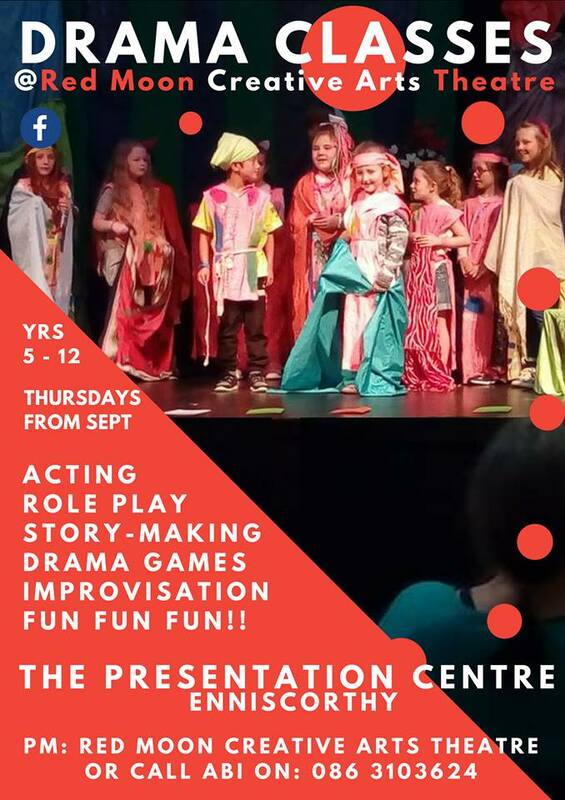 The company visits schools and local venues with comedy-dramas, film-making projects, classes and workshops in art and drama, puppet theatre and bullying awareness programmes for all ages from Junior Infants to 6th Class, and from 1st to 6th Year Secondary. The company also provides services to conferences and other events taking place in County Wexford, including original comedy, theatre and video film features. For further information contact Abi on 086 310 3624 or message Red Moon directly on their Facebook page below!